Why is this job brilliant? 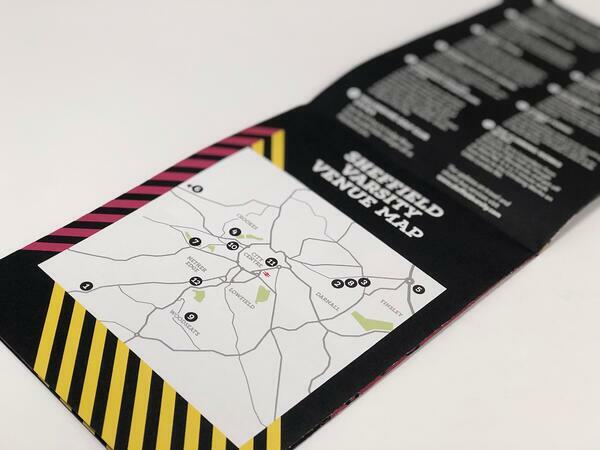 Varsity is a showcase and celebration of student sport in the city of Sheffield and it’s always a pleasure to print for a privileged event. 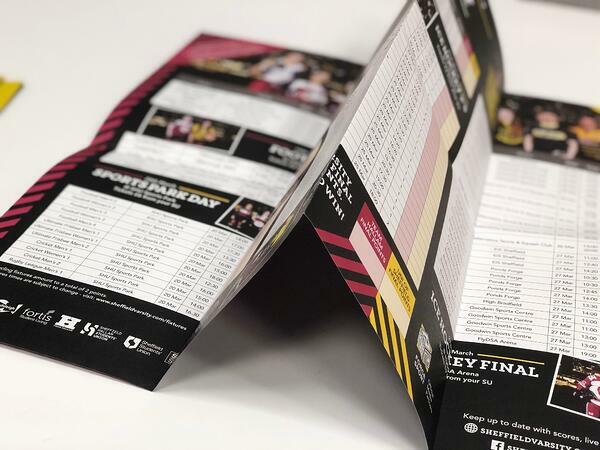 We have been producing the programme for a few years now, what may appear to be a straightforward print project is a challenge for the average print company due to the amount of solid ink. The ink coverage and the uncoated paper are requested by the customer to reinforce their brand. 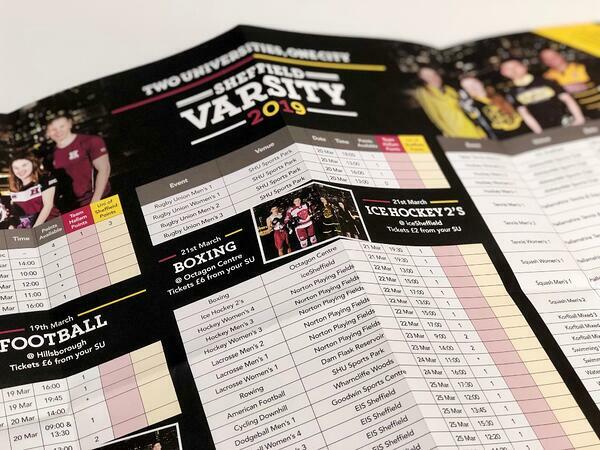 We have just printed the wall chart for the Sheffield Varsity 2019, this project holds the same challenge. With striking photography against a black background, we needed to ensure that the photos remained vibrant with no loss in definition due to the uncoated paper. The uncoated paper is ideal stock for the wall chart, it’s dull finish means it’s easy to write on so students can keep count of points throughout the games. We used our LED UV litho technology to produce the project, the colours remained vibrant and the images crystal clear, as the sheet is dried instantly there is no absorption into the paper and no loss in detail. This added to great photography and a simple, yet effective design produced stunning results that would not have been achievable with traditional print techniques and with no rub marks or set off on the contrasting white areas. Sheffield Varsity were thrilled with how their Wall Chart turned out. Choosing to print on uncoated paper may have caused a loss in definition to their pictures, but with striking photography against a solid black background, the images remained vibrant. Who knew that LED UV litho technology could look so good? Well, Sheffield Varsity did and thanks to our printing abilities we have managed to present them with a beautiful wall chart that allows students to write on, keeping count of points throughout games. If you liked the look of this wall chart and what the power of print can produce, get in touch with one of the team members here at B&B Press and we'll make your next project, a BeBrilliant one.